Andres Ruiz doesn’t understand why everyone keeps hugging him or why people have been flooding through his grandparents’ home all week; the six-year-old only knows that it has something to do with his mommy. 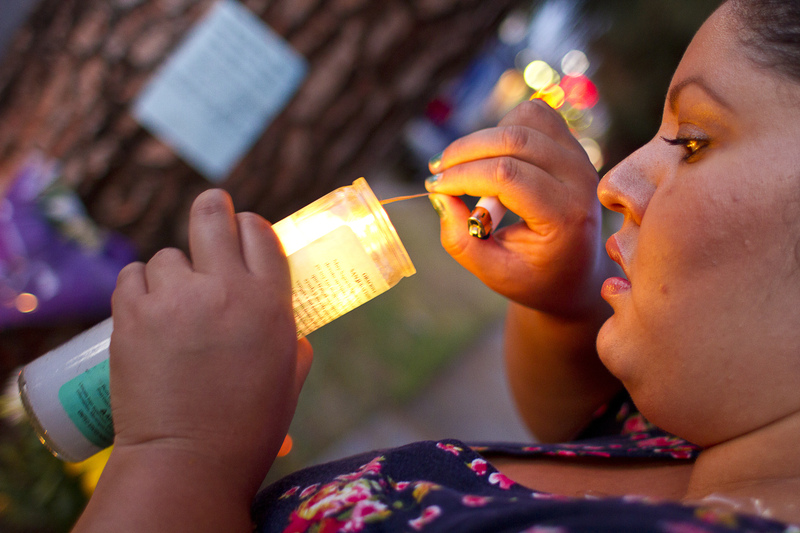 Surrounded by extended family on Friday evening, Ruiz hasn’t truly grasped that his mother, Pierce College student Griselda Sandoval, is never coming back. Sandoval, 25, was killed Monday night when a suspected drunk driver struck the vehicle she was riding in, according to authorities. Family members and friends are still struggling to understand it as they prepare for Tuesday’s funeral. They had been preparing for her wedding, scheduled for Saturday. “She was getting married tomorrow,” said family friend Christina Diaz. 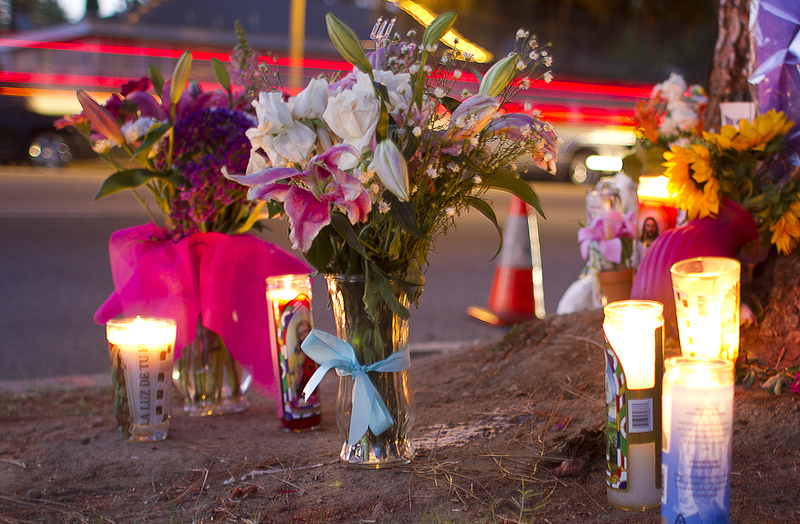 Diaz was at the crash site on Parthenia Street Friday night, lighting candles and arranging flowers for a vigil in Sandoval’s honor. Sandoval’s brother-in-law Alberto Mora described the transition from wedding to funeral preparation. “It is a very hard time for us,” Mora said. That Sandoval was only heading back to her apartment for a fresh uniform is a recurring source of painful irony for her sister, Joana Mora. “She was five minutes from home… then she’s dead,” Joana Mora said outside her mother’s apartment. Mora conveyed her family’s frustration at the circumstances surrounding her sister’s death at the hands of an alleged drunk driver. Van Nuys resident Valerie Stewart was driving with a blood alcohol level nearly three times the legal limit when her vehicle crossed into oncoming traffic and struck the Sandovals’ car, according to LAPD reports. Roberto Sandoval, 18, was behind the wheel when the crash occurred. The high school senior is recovering from minor injuries caused by the collision, but Roberto’s mental wounds run far deeper. 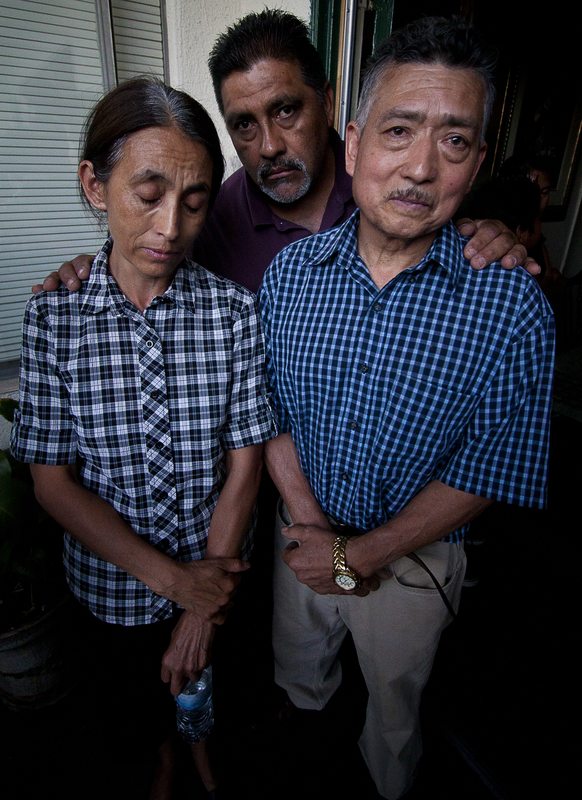 Rodolfo and Emma Griselda Sandoval, the victim’s parents, were in state of anguish. Emma Griselda held her grandson Andres tightly and wept loudly as she conveyed her grief. Ruiz’s grandparents will become his legal guardians, according to sister Maricela Sandoval. 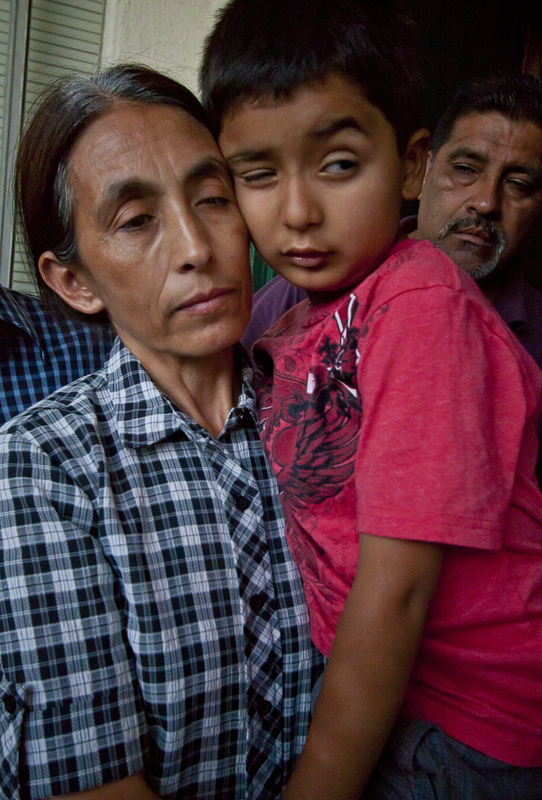 Ruiz will grow older knowing his mother may have saved his life not once, but three times the night she died. There is little doubt in Mora’s mind that her sister saved her nephew’s life. “If he had been with them, there would be two funerals instead of one,” Mora said. Throughout the week, the little boy has asked where his mother is. To learn more about funeral arrangements for Griselda, click here.